The Home Electronics Division of Hitachi America, Ltd., a subsidiary of Hitachi, Ltd. introduced its sixth generation UltraVision Hitachi DZBX35A camcorder offering blockbuster features for an affordable price. The advances in Hitachi's new DVD camcorder line satisfy the demands of both tech-savvy users wanting cutting-edge, premium features and enhanced CinemaRes image quality as well as price-conscious consumers focused on convenience and ease of use. The new Hitachi DZBX35A provides media format versatility to support the most popular and widely available DVD formats, including DVD-R, DVD-RW, DVD-RAM and DVD+RW discs as well as SD cards for digital stills. Hitachi DZ BX35A - DVD recorder - This industry leading format compatibility allows users to choose the DVD format that best suits their individual needs. Other user-friendly features include a One Touch finalization button for quick and easy access to this essential last step, and a sleep/restart battery saver function that puts the camcorder in hibernation to save battery power between recordings and enables users to begin recording within one second of activation to ensure no action is missed. Hitachi DZBX35A - Secure Digital and Widescreen LCD - The new DZBX35A model includes the new Video-to-Photo Frame Grab Tool, which allows users to pull a photo still from video and route to SD memory card. This prevents taking video without switching the "still mode" on and off and enables users to easily create the photo image of any desired scene after recording onto DVD. Additionally, the Hitachi DZ- BX35A offers enhanced Super Digital Zoom, a large 2.7-inch 16x9 widescreen LCD, and a "Quick Mode" Menu System that features Hitachi Disc Navigation to instantly access desired scenes via thumbnail images without having to fast forward or rewind. Hitachi DVD camcorder - Consumer electronic device - "Hitachi continues to enhance its original technologies to create a new line of DVD camcorders that breaks ground with superior picture quality and convenience features," said Jeff Fochtman, product manager for Hitachi America, Ltd., Home Electronics Division. "As the first company to bring a DVD camcorder to market, Hitachi once again proves itself as the industry leader by answering consumers needs for the most refined and fully-featured line available, and all at a competitive price." Hitachi UltraVision DZBX35A - Image processor - Ranging from $399 to $799, the new models exceed Hitachi's goal of providing high-quality, cutting-edge technology at an affordable price. 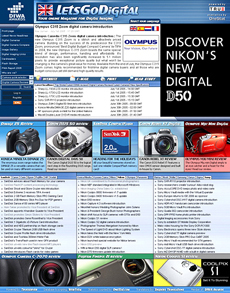 Superior imaging is made possible with the company's new CinemaRes Advanced Image Processing with "Oversampling" high resolution capture, an exclusive technology that uses the entire CCD to capture both video and still images before converting to DVD format, utilizing the camcorder's entire capacity to create a sharper, more detailed picture. Hitachi camcorder - Price, Availability & Accessory - With 680K pixel resolution at 640 x 480 and a 25x optical/1200x super digital lens, the Hitachi UltraVision DZBX35A rounds out Hitachi's DVD camcorder product line. 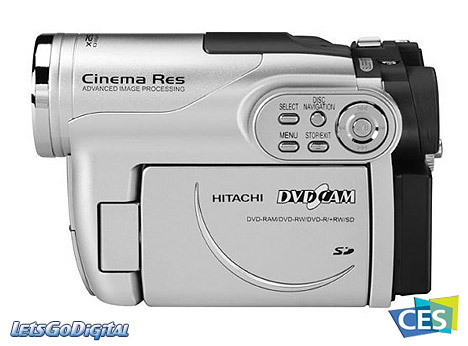 Retailing at just $399, the Hitachi DZBX35A DVD camcorder provides unprecedented value. The DZBX35A will be available in March 2006. New this year, Hitachi introduces its first line of DVD camcorder accessories, including the CAMKIT2 that features a Hitachi-branded nylon camcorder bag, two-hour battery and three DVD-R discs, as well as the Hitachi Video Light, 2x Telephoto Zoom Lens, and a Media Pack with a mini DVD disc wallet.